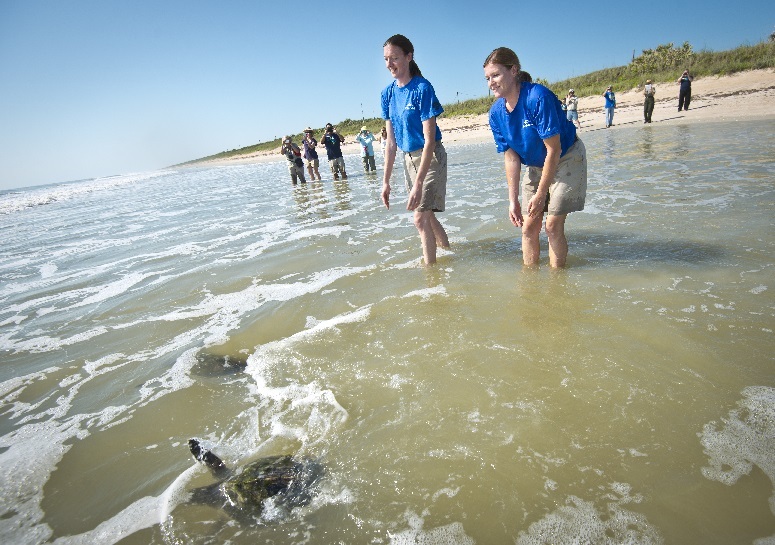 On May 20, the SeaWorld Orlando Animal Rescue Team returned 3 Kemp’s ridley sea turtles, the world’s most endangered species of sea turtle, to the warm Florida waters by Canaveral National Seashore. The 3 turtles returned were part of the 72 sea turtles that were rescued last November during a mass cold stranding off the Massachusetts coast. They were transferred to SeaWorld Orlando from the New England Aquarium by the U.S. Coast Guard. Following their return, only 9 of the 72 rescued turtles remain after completing rehabilitation under the care of SeaWorld Orlando’s aquarium team and veterinarians. The SeaWorld Team is still caring for the remainder of the turtles as they regain their strength with the goal of returning them in the coming weeks. Ranging from 4.5 to 6 pounds at the time of rescue, the turtles have been thriving during their rehabilitation, gaining strength and weight. The 3 Kemp’s ridley sea turtles returned today all weighed roughly 9 pounds each. Kemp’s ridley sea turtles are the most endangered species of sea turtle in the world, mainly due to egg collection and other human activities. Today, under strict protection and the help of organizations like SeaWorld’s Animal Rescue Team, the population is on its way to recovery. 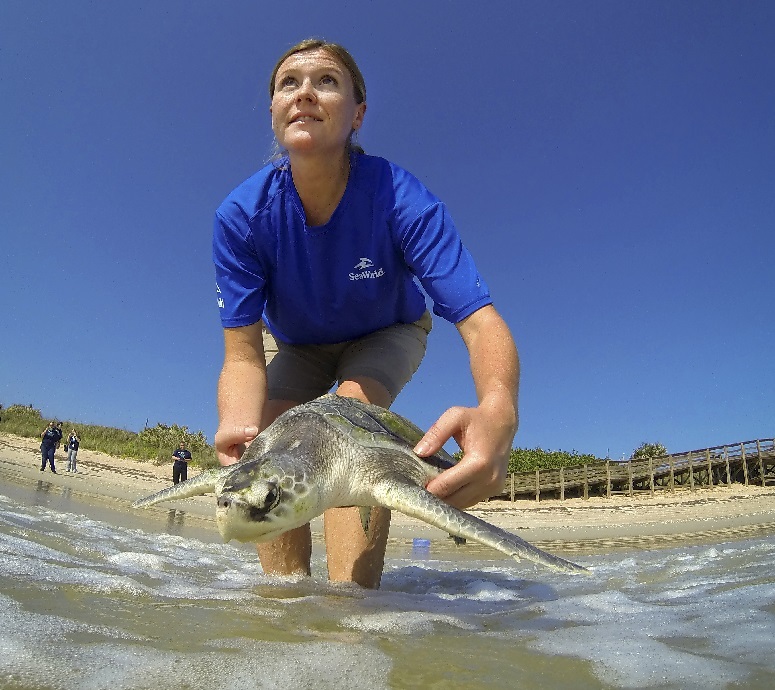 So far in 2015, SeaWorld Orlando has rescued 39 sea turtles and returned 63 to the ocean. For more than 50 years, SeaWorld Parks & Entertainment has helped animals in need – ill, injured, orphaned or abandoned, with the goal of returning them to the wild. More than 25,000 animals have been rescued by the expert animal rescue team that is on call 24 hours a day, 7 days a week. If you see an injured marine animal, you can help by calling the FWC hotline at (888) 404-3922 or by dialing *FWC on a cellular device. To learn more about SeaWorld’s commitment to animals and the environment, visit SeaWorldCares.com. PHOTOS: © 2015 SeaWorld Parks & Entertainment. All Rights Reserved.